It is extremely important to use liners made of high performance polymers to ensure that igus linear guides slide silently and precisely. In order to make changing them even easier in extreme situations, igus has now developed a new replacement bearing. The principle of the drylin W Exchange bearing is very simple: unlock bearing, push liner out and replace it. With the help of a free mounting tool, the liners can be replaced directly on the linear rail in just a few seconds, saving you time and money. Previously, if replacement of the lubrication-free bearing liners in a linear guide rail was due, for example in the case of extremely abrasive sand or glass dust, the entire linear carriage had to be pushed off the rail. For linear axes or multiple-axis linear robots with a toothed-belt drive, this meant a lot of assembly work and also machine downtime. igus has therefore developed a durable replacement bearing for its drylin W linear guides. The bearing enables easy replacement directly on the linear rail. The new Pflitsch blueglobe gland fitted with a multiple inlet allows you to easily remove one or more of the three inlets as required simply using a screwdriver. The M25 gland can accommodate cables with diameters from 6mm to 20mm and provides IP 68 (15 bar) protection. These special sealing inserts made from high-grade TPE increase the sealing range of the blueglobe by 55%. 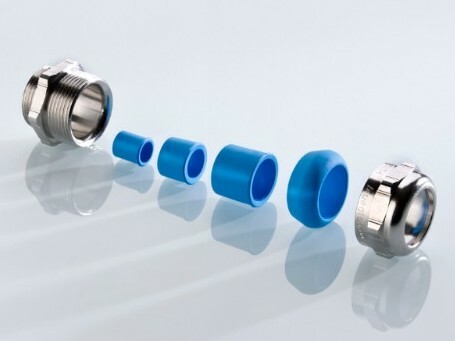 With only one cable gland size, this product can be used to reliably install all the cables most commonly found in automation, machine construction and electrical engineering applications. 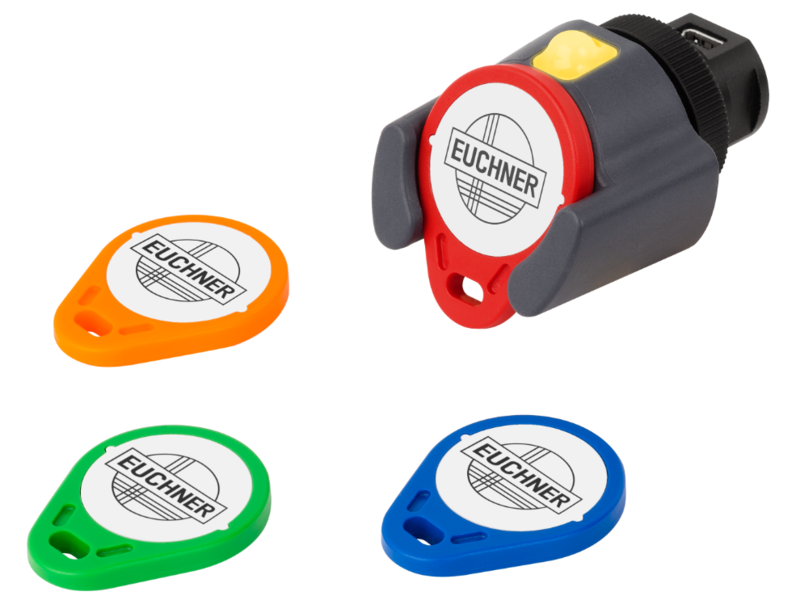 The electronics are fully integrated into the new Euchner Electronic-Key-System EKS with USB port for electronic access control and management. This USB interface allows the device to be connected to PC-based control system technology. The Electronic-Key adapter is compact enough to fit into the latest control panels with limited installation space. Its closed and rounded shape prevents dirt deposits and permits simple cleaning, while its FDA-approved plastic allows it to be used in hygienically sensitive areas such as the food industry. 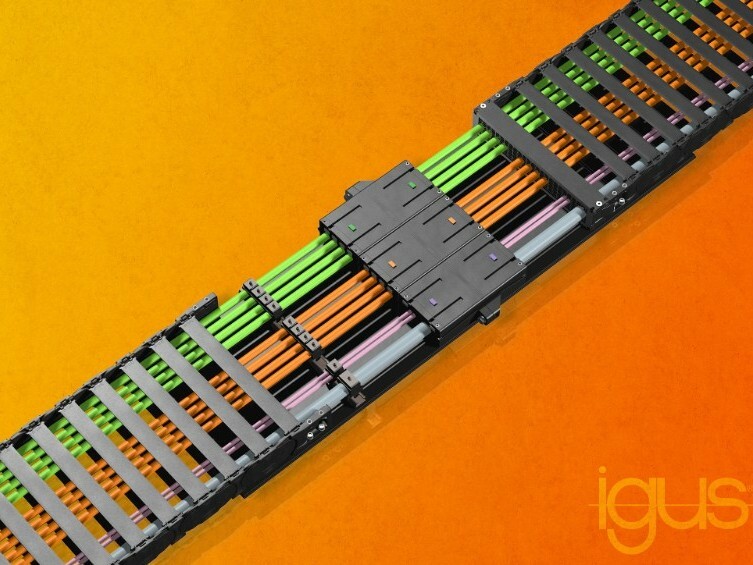 With module connect, igus presents the concept of a novel plug-in connector for the connection of electrical cables, fibre-optic cables and pneumatics. Thanks to the modular system, an individual plug-in/separation point can be easily configured as a module from several plug housings. It can be mounted behind the e-chain, between e-chains or directly on the switch cabinet and is used wherever a large number of cables are plugged into the smallest possible space. We also offer ready harnessed complete systems under the name readychain.